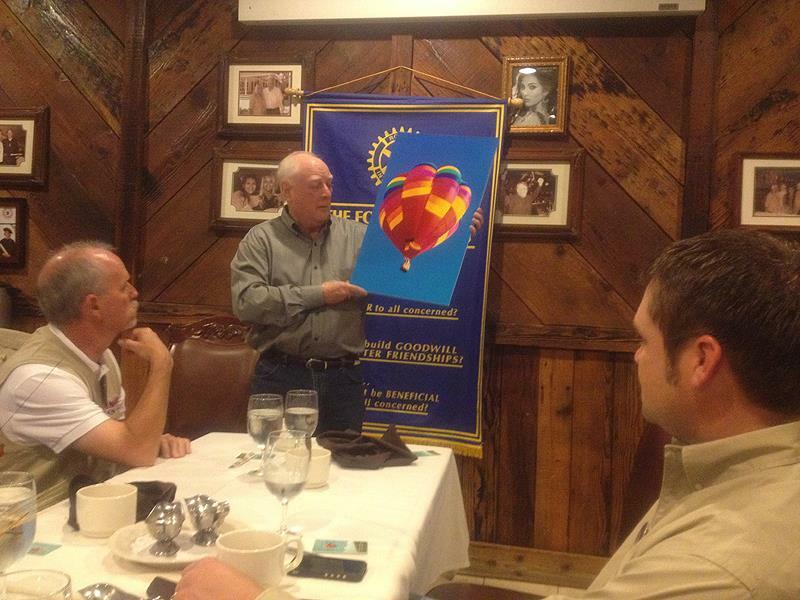 Program November 1, 2012 Ray Gallagher "We Touch the Sky, LLC"
If you were at the meeting this morning, you had the good fortune of listening to Ray Gallagher, owner of We Touch the Sky, LLC, Hot Air Balloon company. Ray's story was fascinating and if you were like me, could have listened to him and asked questions for another hour at least. 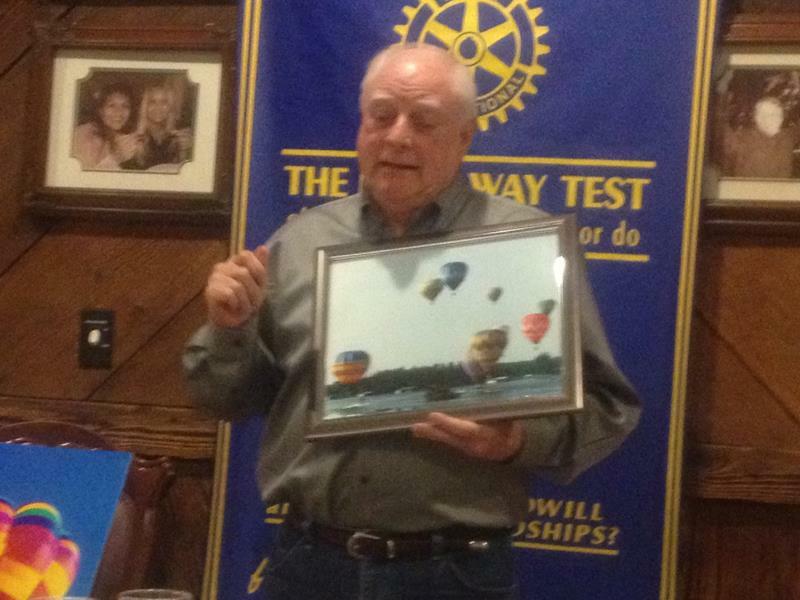 Ray was the guest of Jamie Crawford who as we now know is becoming a balloon enthusiast himself. Thanks Jamie for bringing Ray. I was thinking, wouldn't a ride in a hot air balloon be a great raffle prize for next year's fund raiser??? Think about it and let Chris Green know your thoughts.